If you wish to express your gratitude towards your loved ones, friends and family, Thanksgiving Day is the perfect time. Thanksgiving is one of the most important holidays celebrated of all. We all celebrate it by playing games, watching movies, munching delicious food and much more. But the best way to celebrate it is through singing wonderful Thanksgiving songs. Who doesn't love spending amazing time with loved ones and have great food together? While delicious turkey is on the way, sing special thanksgiving songs to cheer the mood. 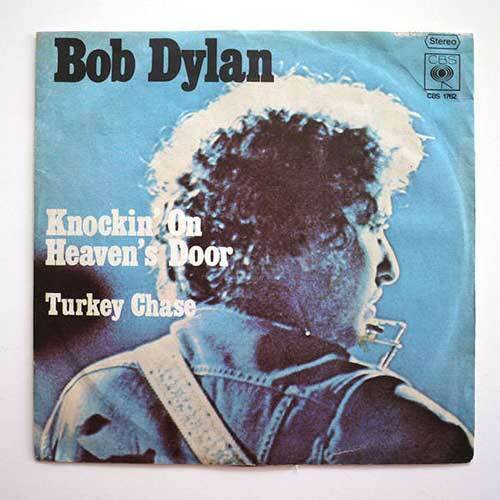 Celebrate your holiday like never before with these top 10 Thanksgiving songs. Your friends always stand by you when you need them the most. It is time you honor your friendship with this special 'thank you' song. 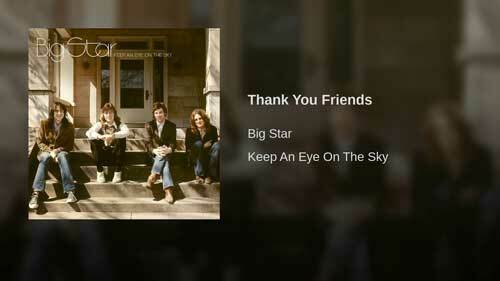 Thank You, Friends, by Big Star. It's one of the best songs from writer, guitarist and singer Chilton and his team. In this song, he thanks his friends for being with him and supporting to reach to his goal. He thanks to everyone who cared and loved him. On this Thanksgiving day, this song will surely hit straight to your friend's heart. Hug them while you play and sing this song for them as you wouldn't have made so far without them, their love and guidance. 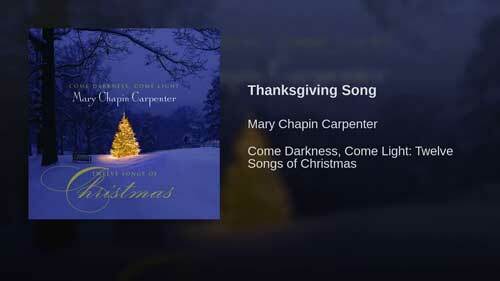 This is a heart-touching and beautiful Thanksgiving song made by Mary Chapin. Here through this song she conveys that we all are fortunate enough to have a shelter, to be travel long distance and reach home safely, have food together. Similarly, on this Thanksgiving show your gratitude and love towards your loved ones for having them in your life. It's a beautiful Thanksgiving Day songs to be played for pop lovers on this Turkey Day by Louis Armstrong. This song still exists as an extraordinary example of Armstrong playing and singing a beautiful melody with a tremendous amount of warmth. Written by two great songwriters of 1930, Arthur Johnson and Gus Kahn you can feel the magic in the words. Here Louis thanks and remembers the love and care he got, for supporting to make his dreams come true. On this Thanksgiving let us make a humble try to make our loved ones feel special by thanking them for their hardship they went through to enhance our life. 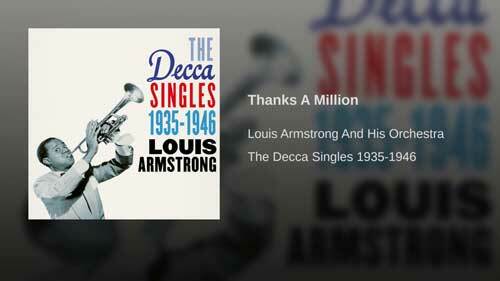 As the song says Thanks a Million a definite song to be dedicated for your loved ones. 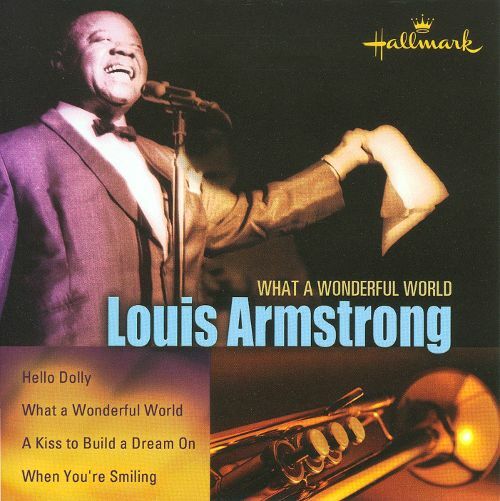 Written by George Weiss, produced by Bob Thiele and sung by Louis Armstrong "What a Wonderful World" – a heartfelt song you must dedicate to your family and friends in this special Thanksgiving. As the song lines says indeed it is a beautiful world with green trees, red roses, blue skies and white clouds. Good and bad times come as day and night. The world is very charming to live and we must thank God and our loved ones who are part of your life and grow with you as time passes by. 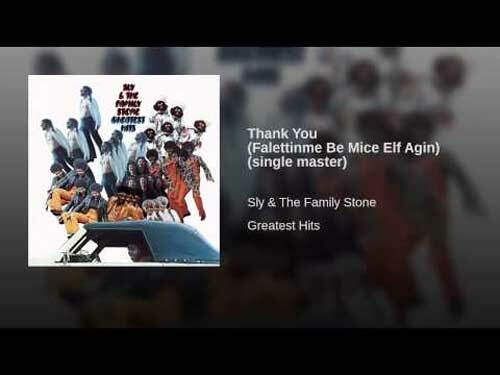 One of the most legendary funk and rock tunes of all time, Thank You by Sly and the Family Stone from the Album Skate 2 is a must to be listed on the Thanksgiving song list. This song reached number one on the soul single charts for five weeks, and reached number one on the Billboard Hot 100 in February 1970. Billboard ranked the record as the No. 19 song of 1970. This song gives the message to thank all who let you be yourself and that you can achieve anything if you try hard. So through this song dedicate your success to all loved ones and show them you care. This song is surely a classic. Featured in the hot movie called "Holiday Inn", in the year 1942, it can be enjoyed perfectly with your dear ones on Thanksgiving Day. 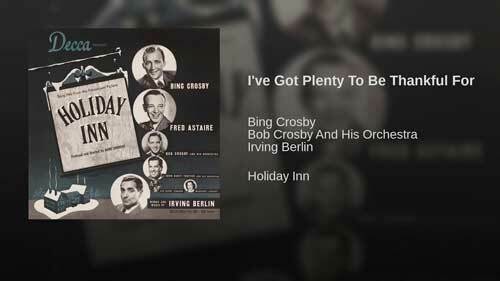 Here Bing Crosby thanks for all the basic things he has to lead a peaceful life. He also highlights the things he aspires to have but currently not in his capacity. He is happy with all he has and this is a perfect message to all of us on Thanksgiving to be content with what we have with us. 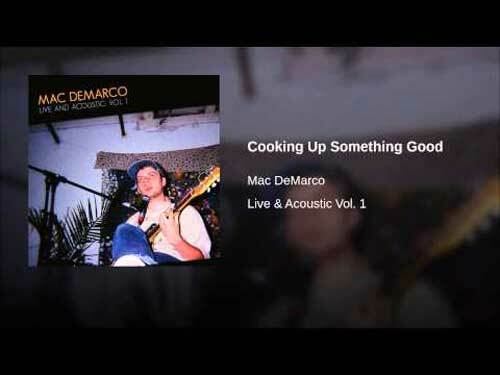 This song is sung by artists Mac Demarco, released in the year 2012. It is best to be played and enjoyed while the delicious food is on the way on Thanksgiving. Dedicate this song to your parents, friends and loved ones by thanking them to be part of your life. Just let bad things go and move ahead in life. A beautiful medley of multiple instruments by Bob Dylan. While you're enjoying your drinks and Turkey with your family, play this the music in background. This Thanksgiving song has lots of variations and scales. Similarly our life has lots of ups and down. All bad times just make us a stronger person and rise up again to live. On this Thanksgiving, thank your cherished ones for being with you in good and bad times and giving you unconditional love and support. Another awesome Thanksgiving song if you want to make your family or friends feel special. 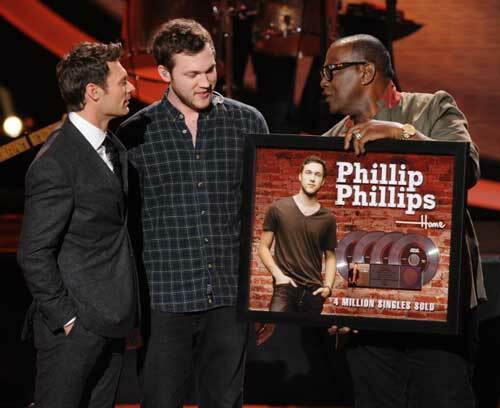 "Home", from American Idol season 11 winner, Phillip Phillips, is the debut single and coronation song. Here through this song Phillip conveys to his close ones to trust him to make way for all on this unfamiliar journey of life and ignore the bad people around as they may trouble you. Similarly on this Thanksgiving let the one you want to be with knows that you are always there for them no matter how hard life is. If they are in trouble, your companionship and guidance will always help them recover. These songs definitely will make your Thanksgiving a memorable day with food, wine and dance. We all have our own way for presenting music, some like lengthy songs with music while some like short and sweet lines. If you wish to show the best part to the person you are grateful for in the given time, you would undoubtedly want to cut and edit songs as per your preference. Here Joyoshare Media Cutter is worth a shot, which can not only cut, merge, rotate, trim and crop music songs as you wish, but also help you make ringtone for your iPhone/Android with ease. Get down to creating a unique list of songs for Thanksgiving and have a blast with family and friends now.